When it comes to integrity, service, and professionalism, Herman Construction Services, Inc. is a leading commercial general building contractor in Florida. These three principles form the core of its existence, instilled there since 1977 by its founder, Gene Herman. There is more to being a great company than being successful. Great companies are passionate about their work, their values and their beliefs. 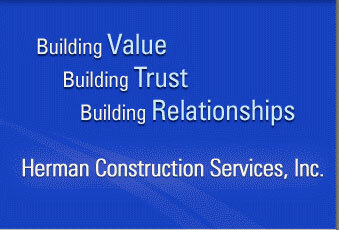 Herman Construction Services, Inc. delivers on these principles – day in and day out. Check out this time lapse video from one of our projects, St. Mark the Evangelist Catholic Church. April 1, 2010 – For thousands of families who worship at St. Gregory the Great Catholic Church in Plantation, this year's Easter services also joyously commemorated the rebirth of their beloved church. Herman Construction Services, Inc. completed its $6 million renovation and addition in time for the parishioners to celebrate Holy Thursday's mass in their bigger, airy, more open church. As the faithful filled St. Gregory on Thursday, they got to enjoy the fruits of their fundraising efforts - the statuesque 109 foot tall bell tower; the larger 1,300-seat sanctuary, which can accommodate an additional 250 people; new stained-glass windows; the marble altar and tabernacle. Other new features include new meeting rooms, a bride's room and two angel rooms for families with small children. Television monitors, new high definition cameras with two retractable viewing screens and a new expanded gift shop highlight the new features at St. Gregory. November 3, 2009 – Gene Herman was acknowledged with two special career honors. Mr. William Laurie, owner of the American Heritage School in Plantation, awarded Gene with a permanently placed plaque at the school to pay tribute to 31 years of construction projects that helped the Plantation campus grow from one single story classroom building in 1978 to the thriving 40 acre campus it is today. Currently with over 250,000 square feet of educational facilities on campus, Herman Construction Services has been privileged to be the only general contractor for Mr. Laurie since 1978 and takes great pride in the partnership it has enjoyed with American Heritage Schools, both at the Plantation campus as well as the Delray Beach campus. At the ceremony was Mrs. Rae Carole Armstrong, the mayor of Plantation, to award Gene a proclamation calling November 3rd, 2009 “Gene Herman Appreciation Day” in the City of Plantation. August 13, 2009 - The ongoing renovation of the St. Gregory the Great Catholic Church project reached new heights in late July when the golden dome and cross were strategically hoisted into place at the top of the new church tower. With the addition of the new cross the structure extends to a height of 109 feet making it one of the more beautiful and prominent landmarks in the City of Plantation. The multimillion dollar renovation is on schedule for parishioners to start enjoying their new church in the Spring of 2010. ©2009 Herman Construction Services, Inc.